So you’ve planned to start your own blog? I appreciate your decision, but do you know how to do it cheaply? Well, I’m gonna show you how to start a blog by spending as less as possible. I’m focusing much on less expenditure because I see that many newbies spend unnecessarily when it comes to starting their first ever blog. The Cheap Way to Start a Blog? Here in this part, I’ll let you know the process of starting a self-hosted WordPress blog, but do you know what a self-hosted WordPress blog is? WordPress has two websites or versions – WordPress.com and WordPress.org. The first one, WordPress.com, offers both free and paid blogging. The hosting is WordPress itself, so it’s hosted by WordPress, not self-hosted. On the other hand, WordPress.org is a content management system (CMS) that can be installed on any hosting package. So if you buy a hosting package from a web hosting company and install WordPress (.org) with your domain in it, then this will be called a self-hosted WordPress blog. Self-hosted WordPress is the best platform for blogging as you have the full freedom of your choice with this type of blog. And for this reason, I’m recommending that you start a self-hosted WordPress blog for yourself. This blog is also self-hosted as I installed WordPress in one of Namecheap’s hosting packages. I think that you’re now clear about why I suggested you start a blog using WordPress! I’ll show you the steps using Namecheap as the hosting company. 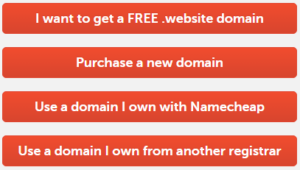 Do you’ve any confusion about Namecheap? I wanna remove your confusion if there’s any. Since I’ll show you the way of creating a blog for under $40 a year, I had to choose Namecheap’s starter hosting plan. If you think that I just considered the cheapness of the hosting pack, then you’re totally wrong because I’ve already tested the hosting packs with over 40 of my websites. 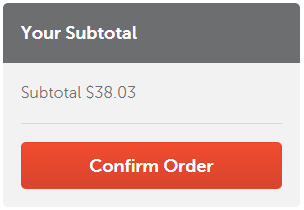 I’ve been using Namecheap for over three years without having any downtime. The speed of its shared hosting is decent. The price is way too low. Namecheap is a domain registrar and web hosting company. It provides a cheap SSL certificate with a whopping discount for the first year. So these facilities have made Namecheap as a super web hosting as well as domain registrar company. You can rely on them. Now, I’ll show you all the steps to having a self-hosted WordPress blog. First of all, hit this link (click here) and visit the website of Namecheap. You’ll land the shared hosting page of Namecheap where there are three hosting packs available. Note that Namecheap has recently changed all of their hosting packs’ names and configurations, so the insanely cheapest hosting, Value 4G, is no longer available in their list of awesome hosting packs. However, you can consider Namecheap Stellar shared hosting as a nice choice because this is the current starter shared hosting plan of Namecheap. So after landing the shared hosting page of Namecheap, look at the Stellar hosting pack. You can see that the yearly price is just under $25. You’re actually getting a discount of 28% if you buy it on a yearly basis. 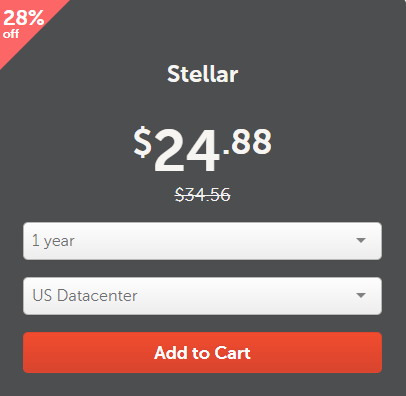 You can also buy the hosting plan for a month which would cost only $2.88 a month. So you can even host up to 3 websites on this pack! Awesome. Important: Don’t host multiple websites on a single hosting pack because this may arise some complications. Now click on the Add to Cart button and you’ll be taken to a new page. Since you haven’t bought your blog’s domain, you now need to do it. To buy your blog’s domain, hit the 2nd button Purchase a new domain. It’ll open a black box for checking your domain’s availability. This is the box where you’ll have to put your desired domain name. As the domain is available, there’s a tick mark to confirm you. Now click on Add New Domain to Cart button. It’ll take you to a new page. You must go for an SSL certificate which will make your blog more secure. It also gives Google a positive signal that your blog is safe for your visitors. So hit the cart icon seen on the right side of the SSL feature. Now you’ll get the total price of hosting, domain, and other additional things. The total price is only $38.03. This is an amazingly low price for a whole year of blogging! Now tap on the Confirm Order button. This will ask you to sign in (if you already have an account) or sign up (if you’re a new user). Sign in to your existing account or sign up for a new account as per your requirement. Then after paying the bill ($38.03 only), you’ll get everything for your brand new blog. After the purchase is done, go and check your email inbox. Namecheap will send you the payment confirmation and cPanel messages. 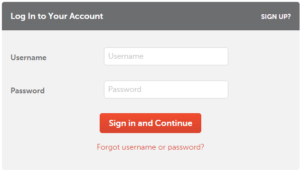 You’ll get the credentials for signing in on cPanel. 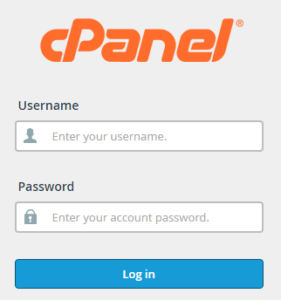 After logging in, visit around the cPanel and learn about it a bit. You can also watch the video tutorials that will pop up just after logging in. Now you’ll have to install WordPress on the hosting pack. To do so, go to the section Softaculous Apps Installer from the cPanel. You’ll see WordPress. This is our desired CMS from WordPress.org. It’ll open another page for filling up with your blog’s necessary information. The first information filling section is Software Setup. Choose https:// if you’ve bought SSL. You’ll see the domain name in the domain box. Keep the directory field empty. The next section is Site Settings. Give your blog a name and choose a slogan for it. Now, select your username. You must choose a username other than admin (this will make your blog more secure from brute force attack). Then choose a strong password. There’ll be a section for a theme selection. Choose any of the free themes which you could change later. After that hit the Install button. Before doing this, check all the information again. The installation will take a few minutes. After the installation, you’ll be confirmed with a confirmation message. You’ll come to the login page of WordPress. Now log in by using the username and password that you’ve already selected. You’ll land on your WP (WordPress) dashboard. So, these are the simple steps to starting your own blog. Start a blog now and enjoy. So you have found that it cost only around $40 to make a blog live. You’re getting a domain, a hosting pack, and an SSL certificate for 365 days just for this amount! So you can save a lot of money if you just follow this guide. You can still start your blog following this guide if you’re not on a tight budget because you won’t find any sort of problem with this hosting package. A lot of money saved? Don’t waste that money. You can spend the saved money on a premium WordPress theme. Yes, a premium WordPress theme called Schema [cost $47 only] improved my blog a lot. Because of its SEO friendliness, I could rank many of my blog posts high on Google’s SERPs. So the total investment might be around $85 [Hosting: $24.88 + Domain and SSL: $13.15 + Premium Theme: $47]. Note that the pricing of anything is subject to change, so the total price may vary depending on time and offers. You can spend more money at the time of starting your blog by choosing a web hosting company like Bluehost, iPage, HostGator or anything else, but I can guarantee you that you won’t be a loser if you just follow this guide. Note that there are many other hosting companies that you can check in order to start your blog. The process of starting a blog with any hosting company is almost similar. So this is the guide to starting a blog just by paying a negligible amount of money. I hope that you won’t struggle to arrange this money to start your dream blog. Thanks for asking. Yes, you can use Broken Link Checker for performing the task. Hi Ayesha, thanks for asking something that I’m passionate about to answer. Please subscribe to my list and at the same time, keep reading my SEO related blog posts which are full of SEO hacks. Hope you could improve your search rankings by applying my formula.